We love it because.... There's so much to see and do here, and they've really thought about what appeals to families. At the back of the garden centre/shop, they've designed a nature trail with a whole host of activities and interactive spots, including bee hotels, bird-watching hides, animals the kids can feed, a duck pond, and more. The trail is set in 6 acres of woodland (although you can just about take a buggy) so you can speed around in an hour or spend a good morning letting the children run wild. Once they've finished, there's some tractor and digger toys back at the garden centre too. We spotted... The pig-feeding - a winner for kids of any age and not something we've seen at other farms or zoos. 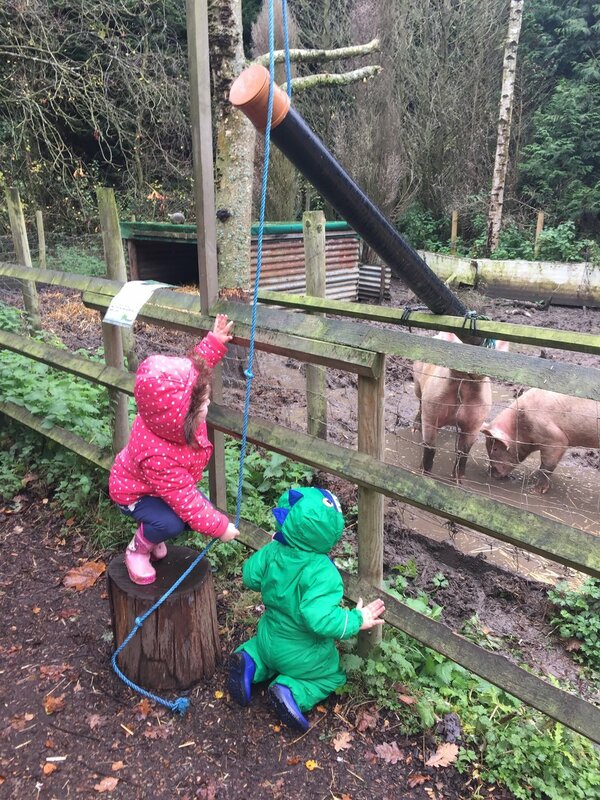 Little ones can feed the greedy pigs down a long tube and watch them snuffle it all up, which ours found hilarious! There's also a small aquarium indoors if your kids are Nemo fans. Top tip... There's a fantastic cafe indoors, with lots of kids food options and toys/books to help them stay entertained over lunch. You can even buy some lovely toys in their garden centre shop, which has a few things out that they can 'test'.